It is as if the North Pole traveled south and hit camp in the midwest. Temperatures are plunging below zero and churches are opening their doors to the community. 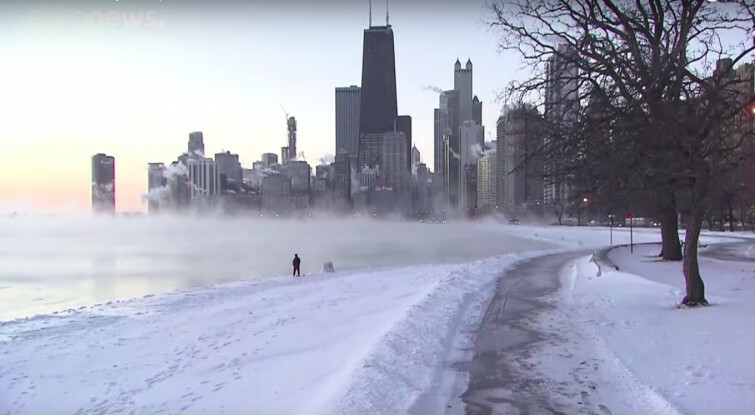 "40 below wind chill is not a joke and it's not something to play around with and we know there are just some people that find themselves in some unfortunate situations," Pastor Jason Georges of Immanuel Baptist Church of Corunna, Michigan, says. His church is not the only one. In Washington, more than 37 churches are listed as warming stations. "It's a sense of hospitality and being connected to our neighbors that we all have different situations and times that we all need support," says Rev. Gordon Wiersma, a pastor at Hope. "And our facilities are here to provide that." Watch this video for a freezing report.